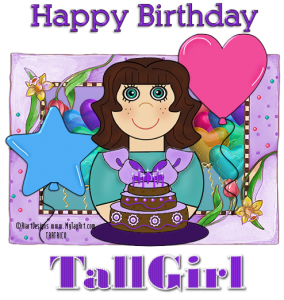 We've been so busy adjusting to and working with the new forum software (more info here and here, for those who haven't been around recently), we forgot to plan a birthday party for Crochetville! But we do have a couple of presents! The first is... a new tagline! Enrich your life through crochet. This tagline communicates, simply and memorably, what our vision has always been, as well as a basic truth about this fulfilling handicraft. 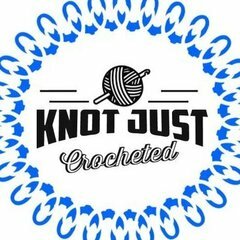 The second is... we are giving away a $50 gift certificate (in USD) to the yarn-related online shopping site of the winner's choice! Hop on over to the giveaway topic for instructions on how to enter. 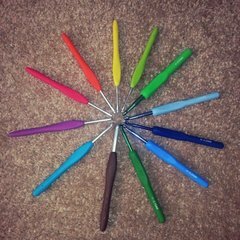 Thank you to all of you for being members of Crochetville! Amy and I work hard on Crochetville, but this site is what it is because of you. Thank you all for being who you are and sharing yourself with us here on Crochetville! There is a big Thank you and Happy Birthday to Crochetville. Don't know what I would do if it was not here. The happiest and nicest place on the internet. Big Thank you to you Donna and Amy for all the work. Wow 9 years, it seems like only yesterday I found you all. Thank you! And a big thank you to you too, Mary Jo! What would we do without you?! I can't believe it's been 9 years either! I Love the new tagline! It's perfect! Thank you all for the compliments and birthday wishes! I have learned so much, I just love this community. Love the new tagline also. Lots of hugs to the 'ville. Happy Birthday and may you celebrate many, many more! I can't imagine being without this wonderful site. I look forward every day to logging on and seeing what's new or find out updates on posts. It's an honor and a pleasure to belong to this wonderful and sharing community of caring hookers! Thanks to you and Amy for all of the time, hard work and heart that you put into making Crochetville what it is! Crochetville! May your yarns remain untangled!! It's an honor to be part of this community! Thank you, Amy & Donna!! Love the tagline, too!! I am so glad I found this community. I enjoy my time her so much. Happy Birthday Crochetville...I love visiting here and finding inspiration. You guys are awesome - THANK YOU SO MUCH! & a BIG HAPPY B-day to C'Ville!!!!! The new tagline is great and perfectly describes in a simple way what the intent for each and every member is - love this! I have enjoyed SO many of the members and sharing and creating with them all! Thanks to Donna and Amy for all the hard work they do to keep us all here and happy. Wow this wonderful that Crochetville celebrating 9th birthday I too would not know what I did before Crochetville. I love it here met many wonderful people and love to be able to share creative ideas get new ideas from everywhere. Thank you Amy and Donna for your wonderful input to make this forum just like a second home with wonderful people I meet everyday. Happy 9th birthday a big thankyou for all the hard work you do Donna for keeping the site up and running. I really enjoy it here and an awesome group of Members this is my favorite group and I come here everyday sometimes all day long. WISHING CROCHETVILLE A HAPPY BIRTHDAY !!! Happy, Happy Birthday to Crochetville!!!! It is one of the first sites I go to when I log on. May you have many, many, many more great years. Thank you all so very, very much!